Ever try Hawaiian bread? Our local grocery carries a brand that is a family favorite. While I do enjoy the soft, slightly sweet bread, I do not enjoy the price. Being that we are in penny-pinching mode around here, I do try and not inflate our grocery bill with expensive items. This includes bread. Following is a recipe for my own version of that soft bread we like so much, for a fraction of the price of store bought. Now, I am not saying this is a copy cat of that recipe. However, it is a lovely, soft, white bread that has a rich, slightly sweet flavor that is reminiscent of that commercial brand. 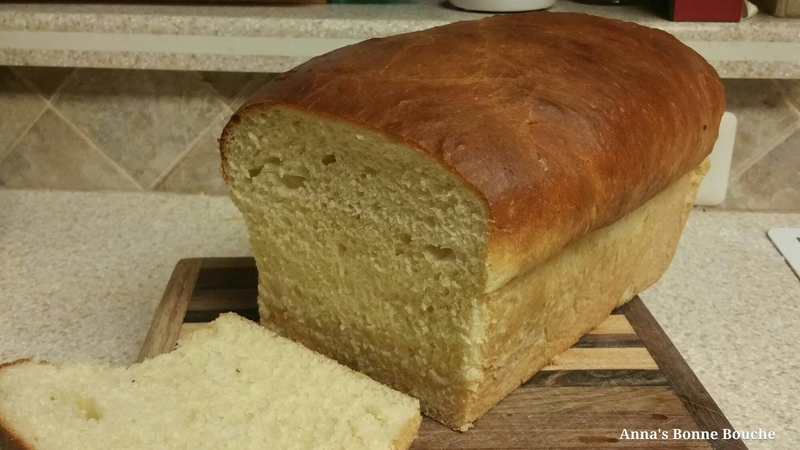 This bread goes well with soups, makes tasty sandwiches, and is great with just butter and jam. My family really enjoys this bread, it disappears quickly, and I don’t have to buy the expensive version. It also makes use of something I usually have on hand, leftover mashed potatoes. In a mixing bowl, dissolve yeast in water. Add milk, shortening, potatoes, egg, sugar, salt and 2 cups flour. Beat mixture until smooth. 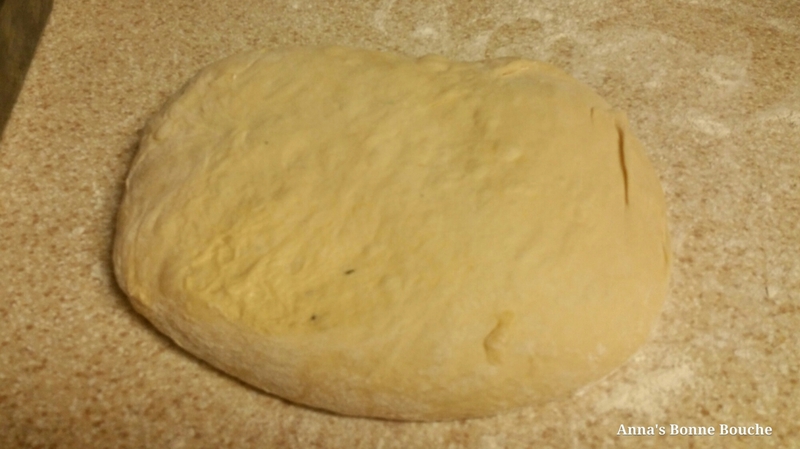 Add enough remaining flour to form a soft dough. Turn onto a floured surface and knead until smooth and eliastic. Place in a greased bowl, turning once to grease top. Cover and allow to rise in a warm place until doubled, about one hour. Punch dough down, then shape into a loaf. 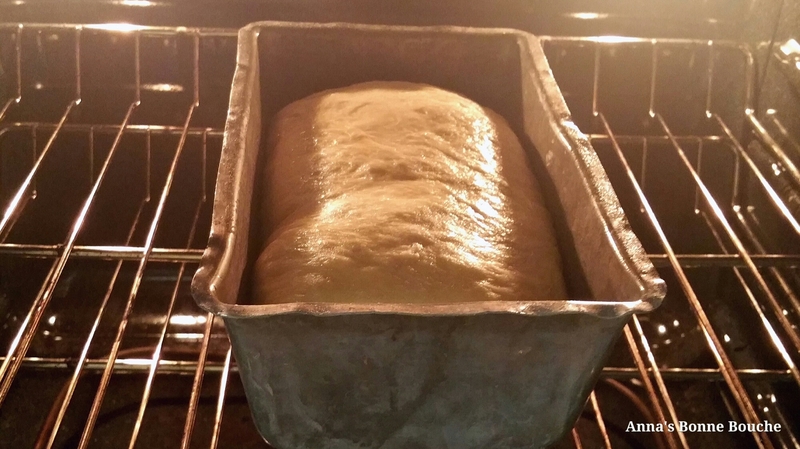 Place dough loaf in a greased 9×4″ loaf pan, then allow to rise in a warm place until doubled, about 45 minutes. Then bake risen loaf at 350°F for 45 minutes, or until golden brown. 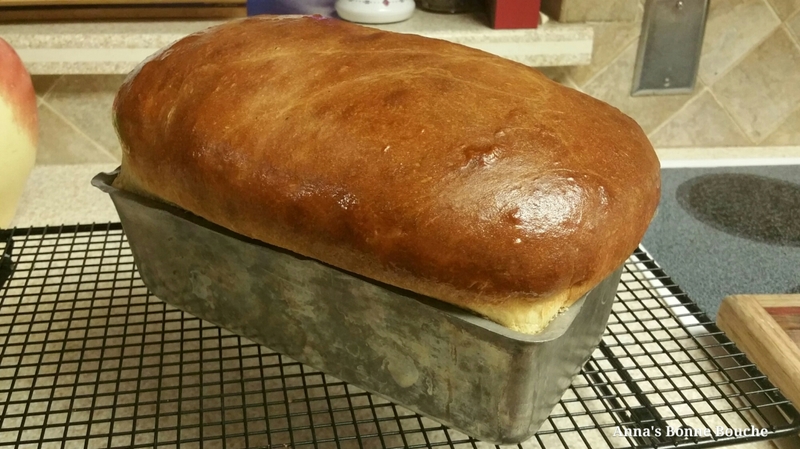 Brush melted butter over baked bread and allow to cool on a wire rack. This recipe can also be made into delicious dinner rolls. 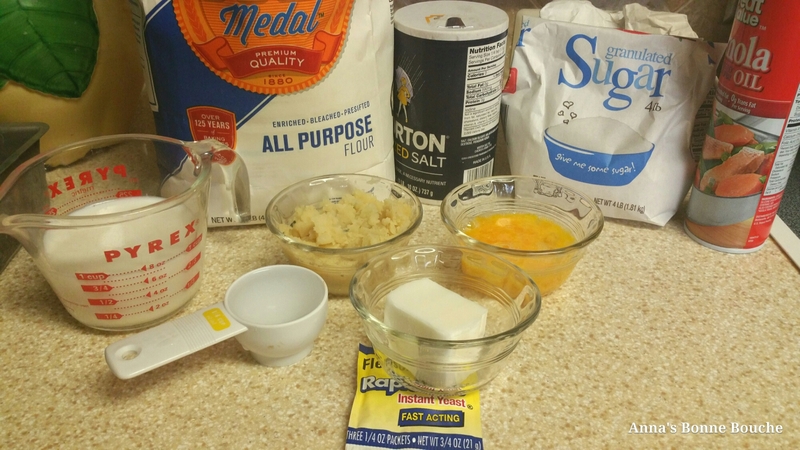 Simply take the dough, after first rise and punch down, divide in half, then divide the dough into 12 pieces. Roll each piece into a ball and place in a greased baking pan. Allow to rise until doubled, then bake at 400°F for about 30 minutes.